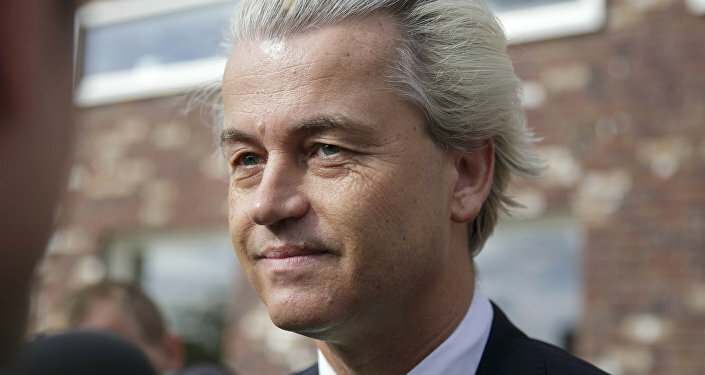 Wilders, the founder and leader of Party for Freedom (PVV), tweeted in Dutch on Thursday, "Tremendously disturbing news. Until all the facts about the corruption investigation are known, PVV will suspend its public activities." A member of Wilders' security team was arrested on suspicion of leaking details about his campaign to a Dutch-Moroccan criminal gang. 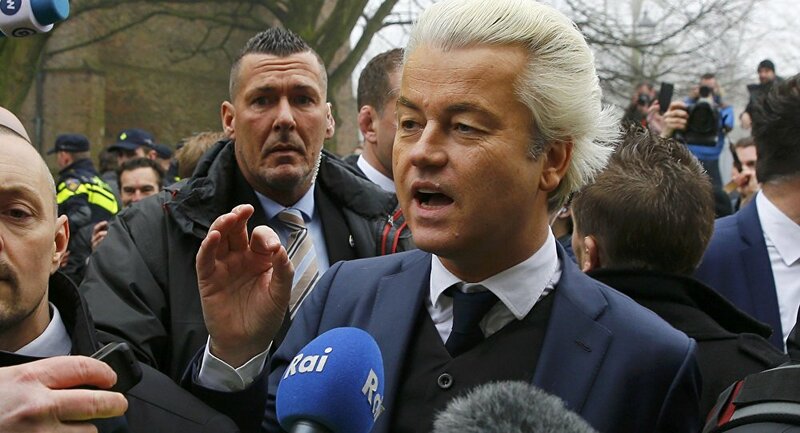 The officer, an Utrecht policeman of Moroccan descent identified under the name Faris K, was responsible for screening locations where Wilders would make public appearances. Security services provided by DBB, responsible for the safety of important figures in the Dutch government, is investigating the leak. They claim that Faris K had been previously investigated for allegedly revealing confidential information. National chief of police Erik Akerboom made a statement claiming that Wilders' safety was not threatened. Wilders replied with a tweet criticizing the DBB, "If I cannot trust the service that is supposed to protect me, then I can no longer function. This is unacceptable." Prime Minister Mark Rutte, of the center-right People's Party for Freedom and Democracy (VVD), and Wilders" chief political rival, refused to comment but did meet with Wilders to discuss the suspension of his campaign. Wilders tweeted that the security breach "is a serious case that fortunately is also being taken seriously by the government," following the meeting. Faris K was released from police custody on Thursday, but has been suspended pending the investigation. Faris' brother, also a police officer, was arrested as well. Police have not commented on either case. PVV currently controls 12 of the 150 seats in the Dutch House of Representatives. They reflect the beliefs of their founder, including nationalism, right-wing populism, anti-Islamism, and euroscepticism. Wilders considers himself a liberal, however, and distances himself from some authoritarian right-wing groups. Prior to the campaign suspension, PVV was a frontrunner in parliamentary elections, neck and neck with the incumbent VVD. However, even if PVV managed to become the largest party in the Dutch parliament, Wilders would almost certainly not become prime minister, as the other parties have refused to form a coalition with him. Over the years Wilders has received countless death threats, most prominently from Australian Salafist preacher Feiz Mohammad, who urged his followers to behead Wilders. The right-wing Dutch politician is also on a "hit list" published in the al-Qaeda-affiliated magazine Inspire. Since 2004, Wilders has lived under constant police protection. The threats have not deterred Wilders from his anti-Islamic speech. "Not all are scum, but there is a lot of Moroccan scum in Holland who makes the streets unsafe," he told reporters in December 2016, comments that landed him in legal trouble. "If you want to regain your country, if you want to make the Netherlands for the people of the Netherlands, your own home, again, then you can only vote for one party." Wilders recently argued that the Quran should be banned for sale because, as he explained, like Hitler's autobiography Mein Kampf, it promulgates hate speech. "This is a book which even contains more anti-Semitism than Mein Kampf. It is full of calls to violence," he told Dutch public broadcaster WNL in February 2017.